Photo courtesy of the Tourist Office of Salignac-Eyvigues. 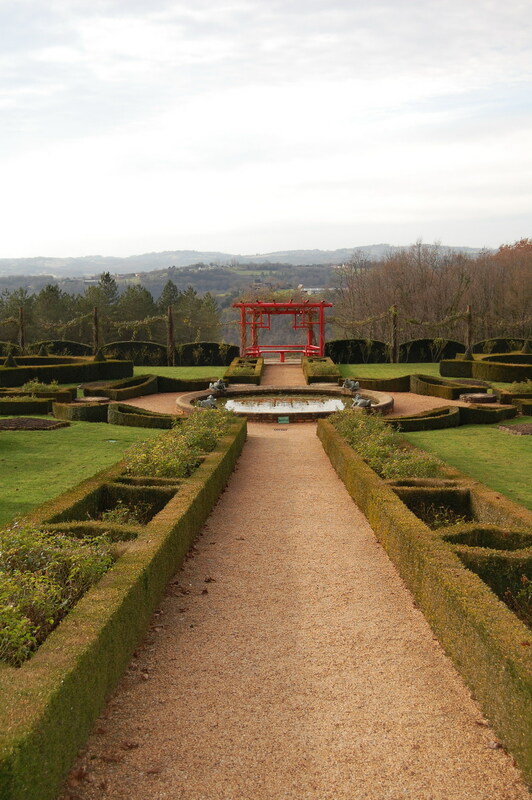 In Dordogne, a bucolic region in southwestern France known for foie gras, truffles and some of Europe’s oldest settlements, correspondent Mike Alexander introduces readers to a beautiful private garden that has been passionately tended by the same family over five centuries. 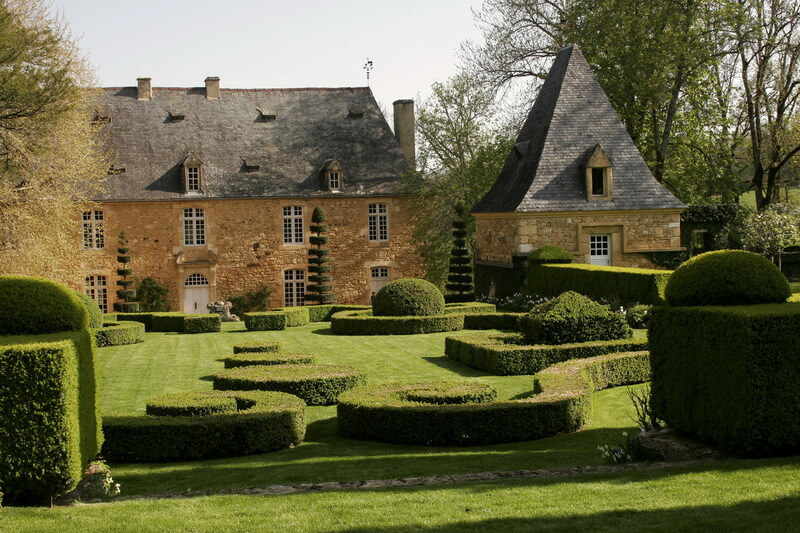 Visiting Les Jardins du Manoir d’Eyrignac is like stepping into the pages of a history book. The stone manor has been lived in for five hundred years and its current owners, Patrick and Capucine Sermadiras, are the twenty-second generation to care for this property. 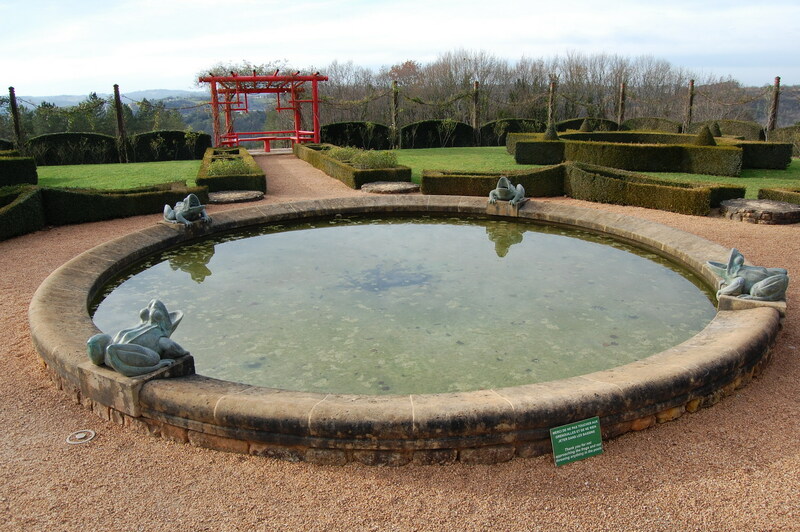 Situated in the heart of Perigord Noir not far from the ancient town of Sarlat, I visited on a chilly winter morning, happy to be almost alone in a garden that receives 90,000 visitors a year. Like many gardens, the color pallet is subdued in the winter with little to be seen in the potager (traditional kitchen garden) or florist’s garden. That in no way diminishes a visit this time or year because of the garden’s strong reliance on formal trimmed hedging and topiary and the sense of history that has shaped it. There are more than 50,000 yew trees, shruby hornbeams, box hedges and ivy plants woven together, providing structure and giving this outdoor space a true presence . I am not generally a fan of tightly-clipped formality but this garden is laid out in harmony with its surroundings so they tend to enhance rather than dominate, which is so often the case with formal gardens. 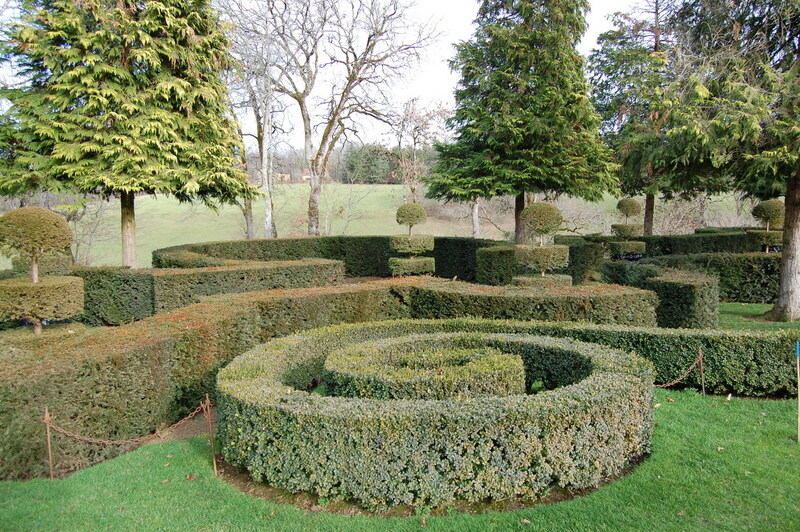 The owners are keen to promote the “quality and tradition of traditional manual gardening” and its more than nine miles of hedges are maintained with hand shears, cords and plumb lines. Though extra help is brought in for some of the trimming season, the gardens are essentially run by just six full-time gardeners. This reliance on manual technique largely reduces one of my pet peeve nuisances in a large garden—the constant buzz of machinery. 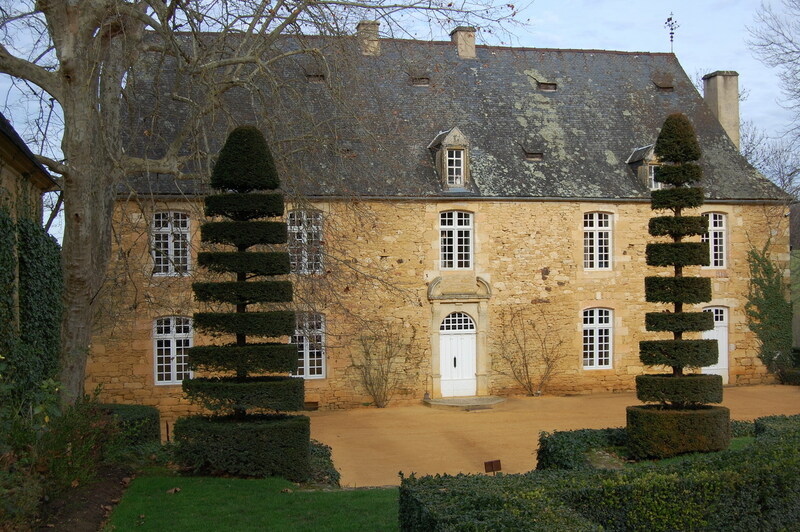 The country house was built in 1653 by Antoine de Costes de la Calprenède, who was first consul and defender of the town of Sarlat. It is built from local Sarladais stone, a warm, honey-toned material commonly used in local architecture. The gardens benefit from having seven natural springs which, in a region prone to drought, is a major advantage. 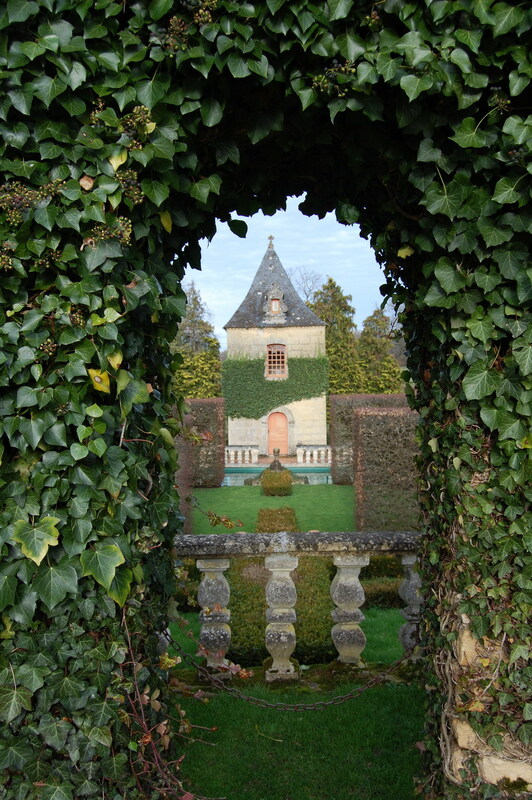 When first built, the gardens were based on the French style, which was largely inspired by Italian villas. Later owners converted it to an English park, forerunner to the woodland garden, during the style’s Victorian heyday. 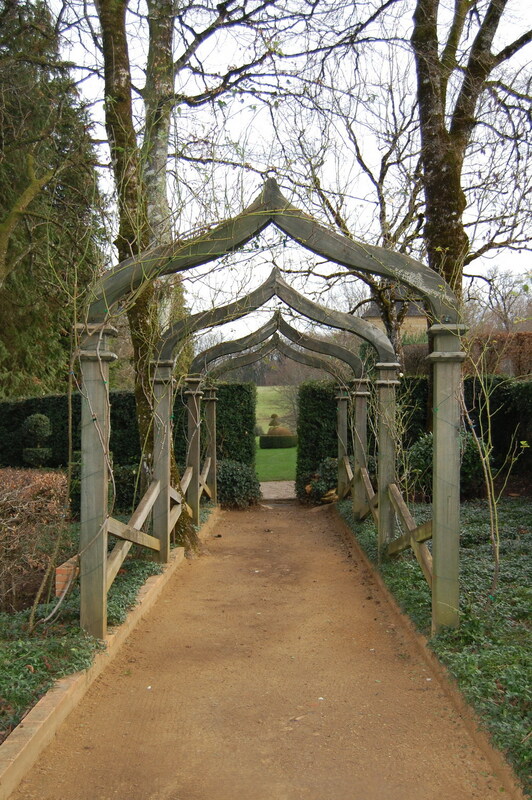 After spending a great deal of time and effort uncovering as much of the original skeleton as possible, the present owner’s father, Gilles, rebuilt the gardens along the lines of its original theme. Each year in the summer, the garden hosts evening picnics in the white garden with its partares and white roses. Musicians play and visitors are asked to wear white while enjoying their alfresco meal and a few glasses of wine around the water feature and fountains. The garden is open year-round from morning to early evening; eyrignac.com. The following photos were photographed by Mike Alexander. This entry was posted in Garden and tagged Dordogne, France, French, garden, gardens, Horticulture, Les Jardins du Manoir d’Eyrignac, Mike Alexander, photography, photos, travel. Bookmark the permalink. What a splendid post and share. I visited Manoir d’Eyrignac (wonderful place and your photographs are lovely – brilliant of you to go in winter when no one else is there!) and the nearby Marqueyssac which It is quintessentially French, but with a twist. 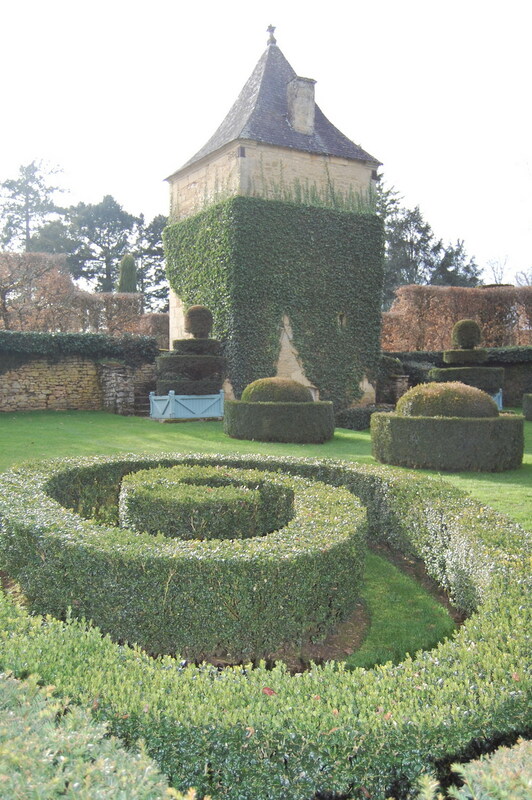 You’ll find the precision clipped boxwoods (150,000 of them, many more than 100 years old) that you would expect in a French garden, but instead of being pruned into classic geometric forms, the boxwoods at Marqueyssac are hand pruned into amorphous shapes resembling Henry Moore sculptures, amoebas, and strange creatures from another planet. I wrote about it for Home by Design magazine. Beautiful! And congratulations on this blog. I love both the simplicity and extravagance entailed in the first photo of the garden.